Dr Ana Khukhro (University of Neuchâtel, Switzerland) visited Lincoln on 3 November. 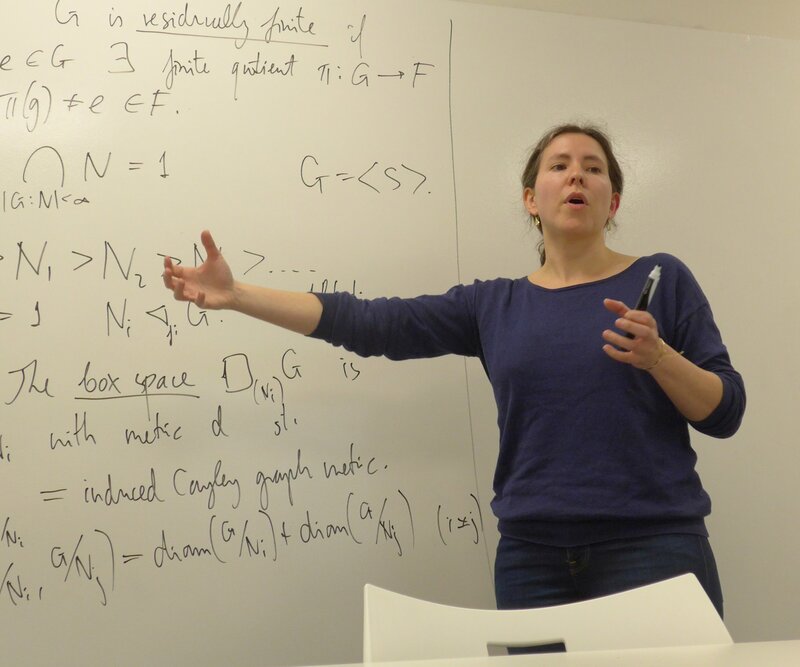 She gave a talk “Geometry of finite quotients of groups” at the Algebra research seminar. This entry was posted on November 4, 2017 by Evgeny Khukhro in research, Seminar, Visitors and tagged Algebra seminar.